Transformers 4 Proves That Pandering To Geeks Is Pointless! If you ask most people that consider themselves to be somewhat of a nerd, they will tell you how awful the Transformers movies are, but despite that they continue to gross about a $1 billion worldwide each. 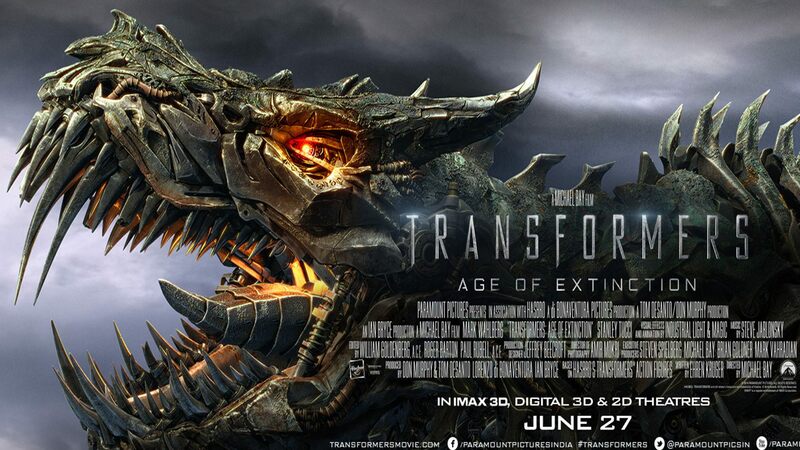 With Transformers: Age of Extinction earning over $300 million in its first weekend it should get close to that number as well. That is not counting DVD and Toy sales. These movies are massive business. That being said, every time a movie studio is developing a new movie based on a comic book or some other geeky property, geeks will line up to tell everyone that will listen that they will not support it if it is not true to the source material, or that if it is they will see it like fifty times. They will point to the success of Disney’s Marvel movies as proof of their importance, but they are sadly mistaken. If having geek approval insures success then Dredd would have been a blockbuster. It sadly was not, and it struggled to even break even. Disney’s Marvel movies do well due to great marketing, and a producer (Kevin Feige) who makes sure that they keep up a certain level of quality. The Marvel movies are built with laser focus on how to be profitable and successful. If that meant ticking off the fans, you had better believe they would do that, but luckily that is not the case, and we all get to be happy. Transformers is also laser focused, but what it is focused on has nothing to do with the Transformers we came to know and love throughout our childhood. It knows its target audience so well that it can get the worst reviews in the world, and have Transformers fans scream about how pathetic they are, but they will still earn money. Lots of it. Worse, those fans that complain about how bad the movie is will go and see it anyway to confirm that the movie was not up to their standards. All people like to think that they are important, and that they have influence over the things that they love, but unfortunately in this case we geeks don’t account for that much cash. When it comes to blockbusters, cash is king. Next PostNext Starting Arrow Season 2!